Abstract. Standard experimental techniques exist to determine the propagation speed of forces. When we apply these techniques to gravity, they all yield propagation speeds too great to measure, substantially faster than lightspeed. This is because gravity, in contrast to light, has no detectable aberration or propagation delay for its action, even for cases (such as binary pulsars) where sources of gravity accelerate significantly during the light time from source to target. By contrast, the finite propagation speed of light causes radiation pressure forces to have a non-radial component causing orbits to decay (the ‘Poynting-Robertson effect’); but gravity has no counterpart force proportional to to first order. 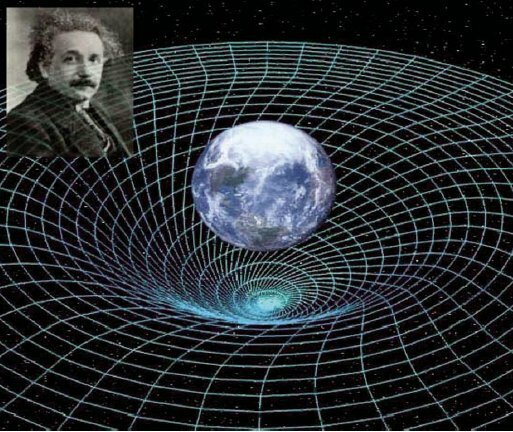 General relativity (GR) explains these features by suggesting that gravitation (unlike electromagnetic forces) is a pure geometric effect of curved space-time, not a force of nature that propagates. Gravitational radiation, which surely does propagate at lightspeed but is a fifth order effect in , is too small to play a role in explaining this difference in behavior between gravity and ordinary forces of nature. Problems with the causality principle also exist for GR in this connection, such as explaining how the external fields between binary black holes manage to continually update without benefit of communication with the masses hidden behind event horizons. These causality problems would be solved without any change to the mathematical formalism of GR, but only to its interpretation, if gravity is once again taken to be a propagating force of nature in flat space-time with the propagation speed indicated by observational evidence and experiments: not less than 2×1010 c. Such a change of perspective requires no change in the assumed character of gravitational radiation or its lightspeed propagation. Although faster-than-light force propagation speeds do violate Einstein special relativity (SR), they are in accord with Lorentzian relativity, which has never been experimentally distinguished from SR; at least, not in favor of SR. Indeed, far from upsetting much of current physics, the main changes induced by this new perspective are beneficial to areas where physics has been struggling, such as explaining experimental evidence for non-locality in quantum physics, the dark matter issue in cosmology, and the possible unification of forces. Recognition of a faster-than-lightspeed propagation of gravity, as indicated by all existing experimental evidence, may be the key to taking conventional physics to the next plateau. The principal differences between the two relativity theories stem from the equivalence of all inertial frames in SR (Special Relativity), and the existence of a preferred frame in LR (Lorentzian Relativity). 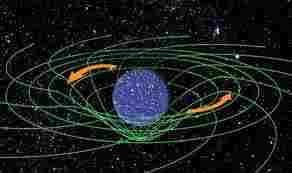 Otherwise, SR’s time dilation is equivalent to LR’s clock slowing; SR’s space contraction is equivalent to LR’s meter-stick shrinkage; and SR’s change in the momentum of moving bodies is equivalent to LR’s. However, LR recognizes a ‘universal time’ apart from the time kept by electromagnetic-based clocks affected by motion. And the law of addition of velocities between two frames, neither of which is the preferred frame, is different in LR than in SR. For a derivation of this law and the revised form of the Lorentz transformations for Lorentzian universal time, see (Mansouri & Sexl, 1977). For our purposes here, we simply note that the proof that nothing can propagate faster than the speed of light in forward time does not apply to LR. Near the end of his career, Lorentz is quoted as having graciously conceded the contest: “My theory can obtain all the same results as special relativity, but perhaps not with a comparable simplicity.” (private communication from C.O. Alley) Today, with hindsight, we might make a somewhat different assessment: “Special relativity can explain all the experimental results in Table II that Lorentzian relativity can, but perhaps not with a comparable simplicity.” Even so, SR cannot explain the faster-than-light propagation of gravity, although LR readily can. We conclude that the speed of gravity may provide the new insight physics has been awaiting to lead the way to unification of the fundamental forces. As shown in (Van Flandern, 1993, pp. 80-85 and Van Flandern, 1996), it may also be connected with the explanation of the dark matter problem in cosmology. Moreover, the modest switch from SR to LR may correct the ‘wrong turn’ physics must have made to get into the dilemma presented by quantum mechanics, that there appears to be no ‘deep reality’ to the world around us. Quantum phenomena that violate the locality criterion may now be welcomed into conventional physics. Tallbloke, thanks for bringing this to us. I new no one could really understand how gravity works, but I had no idea that Gravity appears to propagate faster than light. We really do have a long way to go to understand the Universe. That’s a key statement. About eight years ago, since I enjoy astronomy with my little telescope, and being a veteran programmer, I thought it would be interesting just to write my own “NASA Horizon System” so I could tell with my own software where bodies were going to be in the future, and importantly, in the past. Well, that drug me directly into the science this article is speaking of. My first realization is that it is extremely hard to find a good integrator to accurately perform and calculate the instantaneous acceleration, always in flux, of some 15 solar bodies in mutual attraction. But once I found a candidate integrator, what exactly are the “state vectors” given by the Horizon system. Are they the instantaneous vectors of each body as seen from Earth or are they the true position and velocity of the bodies and light-time retardations would have to apply to each to get the positions as “seen” from Earth? Seems you can ask Horizon for either. And that is where I ran into this problem given by this article. For instance, when Jupiter moves, is it’s position and acceleration calculated where the numbers say Jupiter “is”, or does the Earth feel Jupiter’s gravitational field from a position as where we “see” Jupiter is located? One way, any CHANGES in gravitational acceleration, not the absolute field value, is as the article seems to say, instantaneous, as if even the changes in a more or less static curvature is already “known” by the other 14 bodies. By the way, I found that just by using non-GR Newtonian physics you can calculate within a few hundred years, plus or minus, the positions within acceptable tolerances. That satisfied my use. But I did always mean to also include the GR effects in my software. Maybe this article will help. I need some time to absorb exactly what this paper is concluding in relation to calculations in such ephemeris software. Though this involves a light-time correction to the instantaneous position, the equations of motion for Jupiter do not allow for any “speed of gravity” correction. Thank you for this fascinating post. In my career as a geophysicist I often worked with gravity surveys, but it never once occurred to me that gravity “moved”. However, I do have a question, and if you find it dumb then it probably is. Light is transmitted by photons that have no mass. Gravity exerts a force only on things that have mass. So why can’t light escape from a Black Hole? “See response to above and all other comments: ‘Experimental Repeal of the Speed Limit for Gravitational, Electrodynamic, and Quantum Field Interactions’, T. Van Flandern and J.P. Vigier, Foundations of Physics 32:1031-1068 (2002). Roger A: If photons have no mass, how do they create radiation pressure? The main raison d’etre for black holes seems to be to save the gravity only theory which can’t explain the rotation of galaxies any other way. No-one has a photo of one. I find the whole theory of ‘black holes’ singularly unconvincing. Well, that’s not the answer I expected. I thought I would be treated to a learned discourse on how the apparent contradiction could be explained by Q-particle emissions from assimilated interstellar widgets or something like that, but instead you say there is no contradiction because there ain’t no such thing as a black hole. An intersting article – which I will have to read again to even hope to understand it. I remember reading about this question some years ago. A spacecraft passed behind Jupiter and the occultation of its signal was used to determine “the speed of gravity”. Some claimed that the experiment showed just that, however others claimed that the speed of light was being measured. I do not think the question was resolved. From memory, I get the feeling that the article misrepresents GR. Does not GR predict “gravity waves” that propogate at the speed of light? 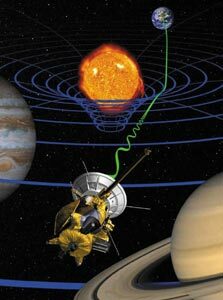 Earth based instruments have so far failed to detect gravity waves, and a space experiment (LISA – laser interferometer space antenna) has now been delayed for many years due to funding problems at NASA. I believe that ‘relativisic aberration’ is what explains the effect of aberration as an effect which does NOT happen close to the observer on Earth but well beyond the Moon as stipulated by Tom. At the same time, it provides evidence for the existence of a preferred frame in LR (Lorentzian Relativity). Where it relates to the speed of Gravity, I believe we can use the analogy of the propagation of heat. If we heat a large metal plate in the middle whereas we keep the boundaries at a low temperature, then we will observe a temperature gradient across the metal plate. At any point on the metal plate, we can identify the exact direction of the source be closely examining the direction of the temperature gradient (which will show no aberration …). If we start moving the position of the heat source, then we be able to observe the new direction (again by measuring the exact direction of the gradient) with a delay that depends on the speed at which the heat propagates. The matter of photons is very very tricky and matter of a great deal of argument. A widely accepted view is a photon has mass zero but does have momentum. On the other hand there are figures and for that matter neutrinos have mass, or do they? Tim: Don’t want to get too far O/T here, but how can something with no mass have momentum? In general, the momentum is a 4 vector. where the minus sign comes from the Minkowski metric. in the Physics Letters A archives? Maybe I’m doing the search incorrectly. Allow me to inject a little sanity into your correspondents’ discussions of the “photon”. This concept was invented over 100 years ago solely to overcome a basic misunderstanding of how the ether medium can do what it does. Prior to Einstein’s elevation to sainthood, light was a well-understood physical wave phenomenon in a poorly-understood, but definitely physical, medium – the ether. It still is. If a “photon phenomenon” can be comprehended at all, it can only be an instantaneous, localized phenomenon, which occurs at the interface between an emitting (or absorbing) surface of a physical body and the transmitting medium (ether) in contact with it when radiated energy is transmitted into (or absorbed from) that medium. Everything in between the ‘emission moment’ and the ‘absorption moment’ can only be the passage of a wave/vibration of the ether. If we wish to retain our sanity when confronting a theoretical hypothesis described as “wave-particle duality”, then we must see these two real aspects of nature (wave and particle) as distinguishable and distinct phenomena, that is, as different things existing at different times and places. Unless we redefine the meanings of “mass” and “particle” in the English language, then “mass-less particle” has no meaning or physical reality, and there can be no “travelling” for any photon “particle” if such a thing cannot exist in the first place. The all-pervading ether medium clearly has a characteristic which prevents continuous emission of radiation from a physical body; the exciting energy which produces radiation from an emitter has to reach a critical energy level (hν) before the ether can react to it and generate a wave pulse at any given frequency. This behaviour clearly depends on a universal property of the universal medium, not on the emitters and receivers of such transmitted energy. To complete my brief analysis, I observe that, shortly after Einstein invented the term ‘photon’ to describe these emitted and received ‘parcels’ of energy, Minkowski came along and completely confused Einstein and everybody else by redefining the English word ‘dimension’ to include the ‘idea’ that a distance travelled by Einstein’s ‘ideal’ light ‘particle’ (ct) is a “4th dimension”. While the product, ct, is certainly a distance, it does not, and cannot, have the characteristics of an independent ‘spatial dimension’ in physics. Any equation including x, y, z and ct still uses only three spatial dimensions. This was brilliant mathematics, but not all mathematics truly reflects reality. The photon only exists as a transient (‘spin’?) phenomenon at the surface of an emitter and cannot travel away from that surface, though the effect it creates in the adjoining medium can indeed travel, and at the speed of a light wave (c). OK, since a couple of brave souls have mentioned ‘the E word’ and since the original article mentions the Michaelson Morley experiment, I’m putting up this reminder link to an article I published two years ago. When I was reading about this subject about a year ago I came across something called MOND (Modified Newtonian Dynamics) that was formulated to explain the anomalous rotation of the galaxies without the requirement for dark energy and dark matter. It also appeared to explain the “Pioneer effect” – the anomalous trajectory of the Pioneer 10 spacecraft. Has anybody else come across this, and if so what are your opinions? I find great idifficulty in thinking that either SR or GR could be fundamentally incorrect, given the fact that we use them every day with our satnavs, and Einstein’s famous description of the experiments necessary to confirm GR which were subsequently carried out. Roger L: Got a link to MOND? Call me a sceptic but I wonder about the “we use relativity for GPS satellite positioning, so it must be right” argument. What other corrections are made to GPS satellite orbits for, say, drag? What is the magnitude of those corrections compared to GR corrections? How well constrained is our knowledge of drag as it changes due to solar activity fluctuations? Miles Mathis says he found a 4% error in Einstein’s calcs, which according to him, was later confirmed by the Saturn anomaly. So far as I can tell from the article, Tom is saying that replacing GR with LR isn’t too much of a big deal mathematically, but is a paradigm shift conceptually, which then helps explain other problems. Concerning GPS, I think that they orbit way above residual air drag effects, and that solar wind and radiation pressure are accounted for. I remember hearing/reading that without a GR correction calculated positions would be of order 100 m out. Perhaps someone else can confirm this? Concerning LR, I thought the article talked about replacing SR with LR, although how this would affect GR I am not sure. Again, perhaps someone else could explain. how this would affect GR I am not sure. Again, perhaps someone else could explain. Yes GR is neded to correct GPS errors. However, what they don’t tell you is that using GR only corrects a part of the error, the rest is done using heuristics. I think that Einstein communicated his ideas poorly and often the maths he used did not follow thought experiments. The important thing to remember is that relativity concerns measurements and data remote from observer, it never concerned local events. GR is applied to data, not to events and is a theory of measurement and conversion, not of reality. Modern physics has warped Einsteins ideas into their own unreal dream-world of virtual particles, vacuum energy and other metaphysical ideas to support their failing theories. No surprise that no progress towards any real understanding about the real physical world has been made. indicates that not all variations of GPS satellite clocks are fully understood. “The equivalent fundamental period is 11.9826 ± 0.0030 h, which surprisingly differs from the reported mean GPS orbital period of 11.9659 ± 0.0007 h by 60 ± 11 s.
the exciting energy which produces radiation from an emitter has to reach a critical energy level (hν) before the ether can react to it and generate a wave pulse at any given frequency. Anyone who has laid a carpet knows that a “wave pulse” rapidly dissipates even when it is laid on a solid floor in Earth’s gravitational field… perhaps they should try carpeting the international space station for some in-flight entertainment. Anyone who has used a firearm knows that you need high velocity and spin [riffling] if you want to hit a distant target that is in your line of sight. Personally, my imagination literally “mists over” when I try to visualise an all pervasive medium… perhaps I suffer from some foggy thinking… but I think my point is clear… just like a carpet this old idea needs to be laid to rest. The standard theory of our universe has many holes, dark matter, dark energy and black holes, the need for plugs for all these holes to salvage the standard model is beyond a scientific joke and is bordering on fairies, pixie dust and unicorns, to salvage credibility. In a universe far far away in the distant past it was discovered that gravity travels at 14 times the speed of light, this is calculable using the deritive equations used for the triggers of nuclear war heads. I am some what bemused that the secrecy of the harmonics that connect light speed and gravity and the infinite possibilities that they predict are an open but hidden secret, Weird!! 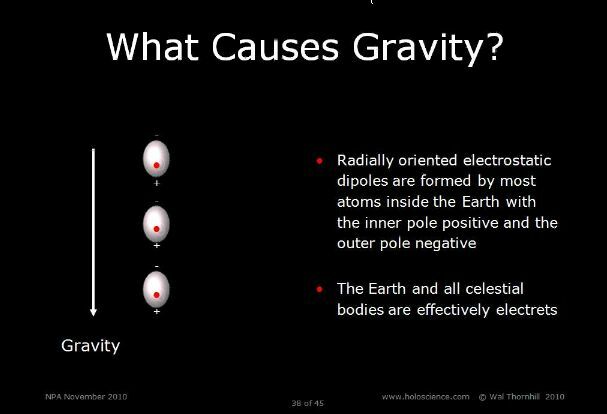 Our understanding of gravity is a tad Bass akwards and much needs to be done and overcome in the main stream sciences before a shred of reality is allowed to shine. Your “4 vector” concept is definitely one of Minkowski’s offspring. It is pure mathematics, not physics. To me, that looks like A – A = X or 0 = X. In ordinary language that means that “nothing” is the same as “something” [(mc^2)^2]. Oh, I forgot! For a photon, m = 0, so you have proved that “nothing” is actually “nothing”, or that 0 = 0. With m = 0 you could put any first order function of m on the right side and still have a valid mathematical expression. Whoopee!! Talk about Trivial Truths! What you have proved is that your assumptions are mathematically consistent. Now, show me a photon ‘particle’!!! Just a ‘word picture’ of what you think one might look like would help. If you could catch a blurry image of one on super-duper-ultra-high-speed film, that would be fantastic. stars are observed to revolve around the centre of these galaxies at a constant speed over a large range of distances from the centre of the galaxy. Clearly, something else is happening to these galaxies besides a simple application of the laws of gravity to the observed matter. The Tully-Fisher relation shows for spiral galaxies that rotation is related to galaxy luminosity, which in turn is dependent on the amount of matter in the stars of the galaxy. Measurements in the late 1960s showed that the orbital velocity of stars in spiral galaxies with respect to their distance from the galactic center is indeed higher than expected from Newtonian dynamics but still cannot explain the stability of the spiral structure. And it is the Vortex that generates the centripetal force that we we call gravity. Is Gravity a Straight Line? If we drop an object, will it travel along a straight line to the ground? For all the appearances it might seem so. If we were standing at the equator and dropped a ball of something fairly heavy from a height of 32 feet, in just one second it would reach the ground. Would that have been a straight line? In that same second, as a consequence of the Earth’s rotation, it would have traveled nearly 1500 feet (over a quarter mile) toward where the Sun rises. (We will not, for simplicity, take into this account the additional motions of the solar system, galaxy, et cetera.) If we were standing at the poles… well, who but a madman would? We can easily see that our object was not following a straight line. When we combine these two aspects of our observed motion, the one that appears to move straight earthward, and the other less apparent one, produced by the planet’s rotation, we will find that our object followed a curling curve of a path. In fact, it followed the type of line that an object being pulled into a fluid vortex would follow. What is that inward force in the vortex called? It is called CENTRIPETAL FORCE. Does it help to say that photons (quanta of electromagnetic radiation) can only exist at lightspeed, and therefore have zero “restmass”? If you define the energy of a photon using both SR (0.5*m*c^2) and Quantum Mechanics (h*f) then you can derive a notional mass for a photon which obeys the laws of GR? MV: Is Gravity a Straight Line? Won’t this depend on the frame of reference of the observer? If the cannon ball is travelling around with the Earth before it is dropped, say, from a tower, and the observer is also travelling round with the Earth, say, stood on th e grass near the tower. Then they will see the ball drop in a straight line towards the centre of the Earth. Of course, since the Earth is also spinning round the Sun as well as it’s own axis and the Sun is taking the solar system around the galaxy with it, and the galaxy is orbiting the in the ‘local group’ etc, the path of any object is a complex spiral, if seen form a ‘God’s eye viewpoint’, and is ‘never at rest’. So I’m not sure where you are going with this. I often find this with deniers and charlatans–as soon as you solidly refute their ‘arguments,’ they censor and ban you. It’s how they maintain their illusions. It’s the most telling sign of all. [Reply] I banned you for the comments you made on your blog about the raid by police on our home which caused my wife distress. Up until then I’d just told you I wasn’t going to allow you to further disrupt Sweger’s thread. Please leave us in peace. Here’s a parting gift http://onlinephd.org/stephen-hawking/ Goodbye David. or this case: Spiral within Spiral and Vortex with Vortex. Well, OK, but for a vortex to have force, there has to be a transmissive medium the force can be expressed through. So you’re back to the Aether you rejected a few posts ago aren’t you? TB:So you’re back to the Aether you rejected a few posts ago aren’t you? That is why the electrical current [chain] spirals around the outside of the electrical conductor. The lead illustration in this article is what exactly? Looks like the outline of a Vortex to me. They just could not see what was in front of their eyes. strongly supports the idea that gravity is of purely geometrical origin, at least over distance scales of the order of our solar system. Looking at the diagram in the article you might be forgiven for thinking they are talking about the geometry of a Vortex. Although, if the photon is a virtual particle, then the discrete quanta observed in light transmission reveal much more about the aether or atoms, and we have a cover-up in physics by creating a particle to explain it. Very interesting. Why would aether let electromagnetic waves pass only at certain energy levels? Is there further evidence for this or a link I did not see? Zeke: Isn’t any level above absolute zero good enough? There are two general types of human beings among us: Those who are good in looking at the details and who can focus their attention on them with a great patience, and those who are good at looking a broad perspective. These two types are well known when we are dealing with safety issues in any factory: Those workers of the first class are given occupations where a detailed and focused attention is needed, but they need wide angle seeing foremen to supervise them, otherwise they could miss a crane falling over their heads. The same happens with current paradigms in science: Those who have a more focused view are trying to find, as at CERN, the LAST SCREWBOLT which they suppose runs the entire factory, while they have forbidden the access to those foremen who could tell them they are wrong. Both types are needed for a correct knowledge and for the whole factory to run properly, then it is urgently needed the presence of a manager/philosopher who knowns not only how the whole factory runs but for what purpose. Nonsense. Of course it would. If photons are what transmit light they will move at the exact speed of light whether they have mass or not. Which brings up the question, do photons (assuming they exist) in fact have mass? It would make it much easier to explain why gravity “bends” light if they do. 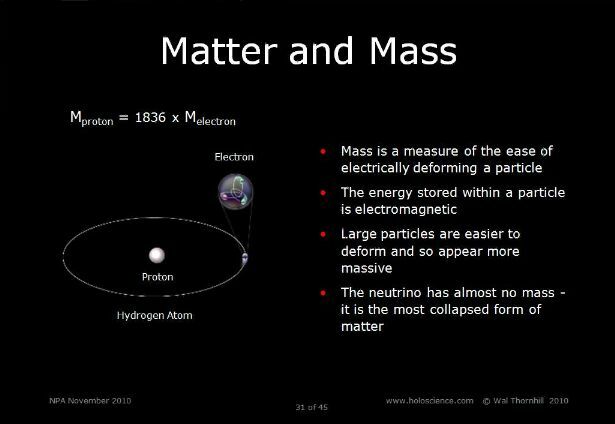 And if they do have mass then a truly massless particle – maybe a graviton? – would presumably move very much faster. @Roger Andrews: If not looking for the “last screwbolt”, then if seen with “grandeur”, the photon it is but a too tiny thing to be seen, but it is material, as everything in our universe, but relativity of parameters (we are too big for it) make us observe it like being massless; however, if the photoelectric phenomenon is well understood, from those photons, when slowed down by the photocell/transformer, grow bigger, while loosing some energy in the process, appear bigger as electrons, coming out from the photocell. But Gravitons are a strange concept. A particle which whizzes along at superluminal speeds, smacks into its target, and yanks it backwards towards the place it came from…. Roger A: Ah yes, a nice variation on the phlogiston theory. But how would Earth absorbing phlogons from the Sun get pulled towards the Sun by them? Does the Sun send them out on rubber bands or something? That would be a massless particle which gives the property of mass, then? Well Zeke, you know the quantum boys can spin virtually any yarn they please. It makes for particlary colourful press releases. “a massless particle which gives the property of mass”. That’s a photon. 1. cannot be detected and 2. does not have spin, 3. nor charge, or 4. nor interactions with other particles – except when needed by Standard Theory. And so, still tallbloke is right, the new particles just keep coming in whatever form needed. And so we get probablility from spikes in data as evidence of why matter has mass. “Cosmicly speaking, does it matter if I don’t get up and go to work today? I did an experiment in my lab once… just for the heck of it since one of my old profs mentioned it one day. It is relevant. In a very large room light a cigarette and allow the plume to develop. After about 3 minutes a laminar stream of smoke about 24 inches tall is formed above the cigarette it is very stable an looks like a solid. At that point and while well on the other side of the room, simply snap your fingers. The plume immediately disrupts and produces an log parade of VonKarmen vortices. The acoustic energy from the snap is long dissipated while the cigarette smoke plume continues to generate the votices. I propose that small gravitational events trigger swirling events on the sun that outlast the trigger event. Try it yourself with a candle plume.